The March 12, 2012 regular Council Meeting was called to order by Mayor Pro Tem Richard Hawkins at 7:30 P.M.
Councilpersons Richard Hawkins, Traci Fallow, Thomas Sims and John Ruymann answered roll call. Mayor Charles Norskog was absent due to work. Motion was made by Councilperson Hawkins to excuse Councilperson Lisa Stephens. Seconded by Councilperson Fallow. Motion carried. Motion was made by Councilperson Sims and seconded by Councilperson Ruymann to accept the minutes of the regular meeting of February 13, 2012 as presented. Motion carried. Community Transformation Grant with Chehalis Tribe- Cynthia Gamble, Manager, Shannon Kickingwoman, Community and Tribal Liaison and Jhon Valencia, Coalition Coordinator 2012 were present to explain the Community Transformation Grant. Jhon Valencia gave a brief slide presentation explaining the purpose of these grants. The Community Transformation Grant (CTG) will support community efforts to reduce chronic diseases such as heart disease, cancer, stroke, and diabetes. The Grant will help improve health, reduce health disparities, and control health care spending. The project will be aimed at everyone in the Chehalis Reservation and in the City of Oakville. The project will serve a minimum of 1,500 throughout the area. For more info go to https://www.research.net/s/NRBZ56H. The City Attorney submitted a written report of legal activities as of March 8, 2012. The City has received an Interlocal Agreement between Aberdeen, Cosmopolis, Elma, Hoquiam, McCleary, Montesano, Oakville, Ocean Shores and Westport whereby each of the parties may borrow on a temporary basis, equipment, vehicles etc. for use on various municipal projects for a low cost. Since the Mayor was not present, the City Attorney asked Council to authorize the Mayor to sign the agreement. After discussion, Council decided to go over the agreement at the next workshop. Lt. Porter presented a summary of hours for the month of February. Dan Thompson read a written report for the period February 10 to March 9, 2012. Water: The pumping system in #3 well house is in need of upgrading. The source meter is 40 plus years old and is not reading correctly. It is his recommendation to upgrade the source meter and is obtaining bids on costs of a new meter. Dan would like to attend a two day class in Shelton for a water distribution system flow and pressure management class and another class for an advanced distribution system flow and pressure management. These classes would enable Dan to keep up with his current water licenses. Motion was made by Councilperson Fallow to allow Dan Thompson to attend these classes. Seconded by Councilperson Ruymann. Motion carried. Councilperson Hawkins mentioned the stop signs on the railroad crossings and he asked that the signs be placed uniformly at both railroad sidings. Dan will review the model traffic ordinance as how signs should be placed and also will check with the Sheriff’s Department. Flood Authority Update- Dan read a summary report for the meeting March 9, 2012. Council felt several items mentioned in the report needed to be reviewed further before next Flood Authority Meeting, so Councilperson Hawkins suggested the flood authority issue be held at a workshop after Dan gathers some information. Security Camera Bids - Fred Rapp of Custom Security Systems explained his company’s bid. After discussion, Council will discuss the camera bids at a workshop. Grays Harbor Council of Governments – Resolution to amend the 2012-2016 Regional Transportation Improvement Plan. The project is to rehabilitate the short line freight rail lines and will provide for repairs and upgrades along the line. The resolution is adding the Port of Grays Harbor – Pacific Northwest Coastal Export Rail Corridor project to the Regional Transportation Improvement Plan. Motion was made by Councilperson Sims and seconded by Councilperson Hawkins to adopt Resolution 553. Motion carried. 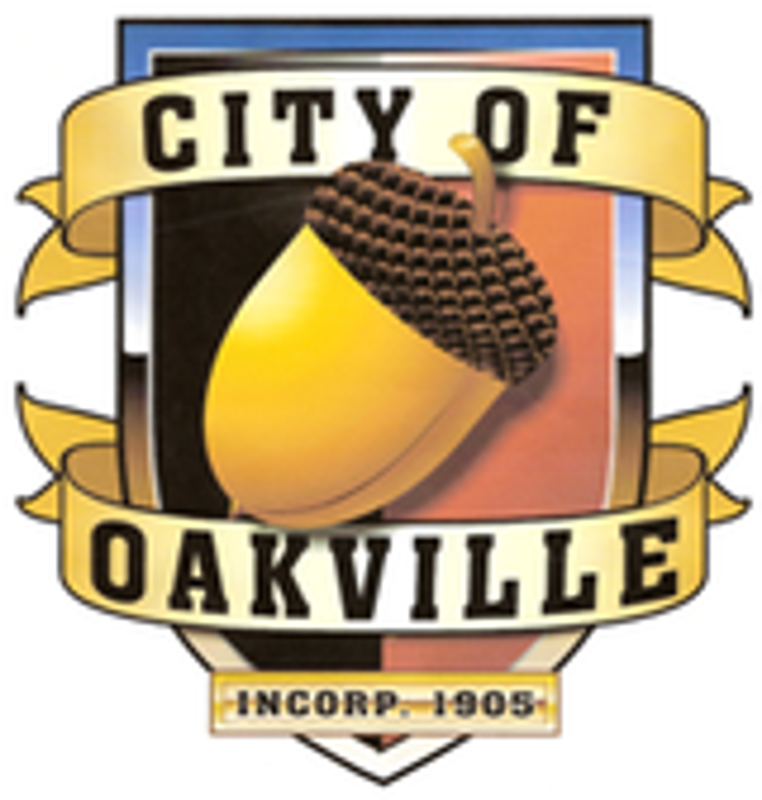 The City Clerk was asked to email COG regarding what affect this will have on Oakville. The City Clerk presented Checks #16824 thru #16836 dated 02-29-12 in the amount of $2,972.19. Checks #16837 thru #16852 dated 03-09-12 in the amount of $16,547.75. Payroll Checks #11659 thru #11673 dated 02-29-12 in the amount of $12,660.85. Motion was made by Councilperson Hawkins to accept the Clerk’s Report as presented. Seconded by Councilperson Fallow. Motion carried.